I’ll be honest: writing this feels a little bit… undignified. But even though this blog post isn’t exactly hard-hitting journalism, I do know that parents of young children are often nervous about doing a shoot with them. However, that same parental nervousness is part of what makes working with the Under 3 set so rewarding: parents are often shocked and thrilled to finally have some good portraits of their child. I know that family portraits with young children is a source of worry for my clients, so I thought I’d share some of my thoughts, so you can get a sense of how it will work at your shoot. I promise: there is no reason to be anxious! I love doing these shoots and am excited to explain a bit. Photographing different ages all bring unique challenges (see also: apathetic teens, Busy and Important spouses, etc.) and each requires a different approach to bring out their best. Toddlers shine when they work with a photographer who has a patient and warm disposition, a realistic plan of action, and a few tricks up her sleeve. I recently overheard someone at the airport say on her cell phone that she planned to “contain not restrain” someone. She was clearly a mental health professional discussing an adult psychiatric patient (should I not have listened?) but I thought this phrase perfectly described my method with toddler portraits. It is very unlikely we will get great images of a young child who is being forced to do something they don’t want to do. You have to set your little one up for success so, to me, it’s important not to force anything, and to keep it fun and exciting, while making images that capture the child’s personality and show them at their best. We can “contain” the child in the vicinity we want, or even simply in your arms, and then let the fun times roll from there. Doing a gentle toss, swinging, turning upside down, and putting them on your shoulders are all great ways to contain your toddler, while keeping it fun and exciting for him or her. These activities are great because most little ones find them thrilling and it makes them laugh. As a bonus it helps document the one stage in your child’s life that they even want you doing all this, and when they are small enough for you to do it without tearing your ACL at the shoot. I try to figure out what a child finds most amusing, and then play to her strengths. Who is this little person, and what does she enjoy most? How can I bring out her happiest, most confident self? We’ll do a mix of posed “holiday card” type photos, and more spontaneous unposed images. Toddlers don’t typically have a long attention span, but with patience and fun you can get a wide variety of portraits in every shoot. If you have a specific goal in mind, be realistic in how you are going to pull it off. For example, sometimes in maternity shoots, I’ll want a young child to touch his mother’s tummy. For me, the easiest way to do this is by putting a sticker (or even just a tiny piece of masking tape) on the mother’s belly, and let the child’s natural curiosity lead him to touching the belly. Retouching out a sticker is typically a lot simpler than convincing a toddler to do precisely what you are envisioning. When I work with families with young children, I usually bring a puppet in my camera bag. If there’s a moment in the shoot when I know I want the child’s attention, I can quickly pull out the puppet and have a few moments of joyful concentration from the child. I send my clients a “what to wear guide” before their shoot, with general tips and some ideas on how to coordinate. There are, however, a few toddler photography tips that apply to wardrobe. • bloomers or tights for toddlers wearing a dress so there is no chance to seeing a diaper. Something like this in a color that matched the dress would work well. • long-ish shirts to, again, minimize the chance of seeing the top of the diaper if the shirt rides up a little. I wrote about this is my 15 Family Photo Shoot Tips, but it’s definitely relevant here. Set your toddler up for a great shoot by scheduling the shoot for a time of day when he is generally in a good. In other words: not nap time. You know best here regarding time of day and your child’s disposition. Make sure your little one is well-fed and consider bringing some of the snacks listed in the aforementioned family photo shoot tips. Often the mention of simple treat (like a gummy bear or cracker) can delight a young child, and make for some great portraits. Also – and I know it can be easy to forget this – make sure you aren’t too exhausted or preoccupied for the shoot. If possible, avoid scheduling the shoot if you think you might be jet-lagged, or anxious about a work commitment. When you plan your shoot, make sure you don’t undermine yourself with a difficult location. Even the most picturesque beach isn’t going to look that good if everyone becomes totally fed up battling traffic to get there. Think about places you like, that are enjoyable for your child, and relatively easy to get to. I’m happy to help! Want A Family Shoot of Your Own? Interested in booking your own family shoot? Contact my studio here to ask a question or book a date. Daisy Beatty is a portrait photographer based in NYC and the Hamptons. She works out of her Greenwich Village Manhattan portrait studio, and on location in NYC, Westchester NY, Fairfield Ct, Long Island, and surrounding areas. 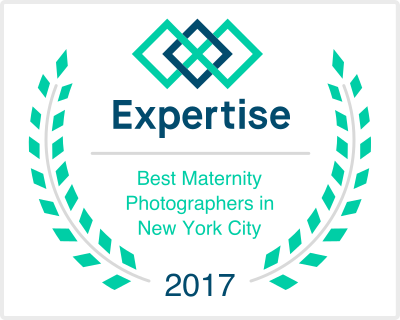 She is known for her vibrant, stylish portraits of children, families, maternity, and newborns, as well as winning headshots for artists and executives. For more information please contact her studio or visit her website.